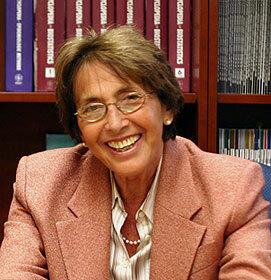 Katherine Detre, MD, DrPH, founded the Epidemiology Data Center (EDC) in the Graduate School of Public Health at the University of Pittsburgh and directed the center for over 25 years. Among other projects, Dr. Detre led the PTCA Registry and later the Dynamic Registry, the Liver Transplant Database, and the landmark Bypass Angioplasty Revascularization Investigation (BARI) and BARI 2D clinical trials. First and foremost, Dr. Detre was committed to improving the care of patients through the rigorous analysis of clinical evidence. Her intellectual curiosity and extraordinary determination were an inspiration to her colleagues and students. The recipient must be accepted into a graduate program (MPH, MS, DrPH, PhD) in the Epidemiology Department. The recipient must demonstrate strong quantitative skills. This could be through experience or successful course work in, for example, biostatistics, statistics, math, psychology or engineering. The recipient will have a position in the EDC mentored by EDC faculty. The recipient must demonstrate a commitment to advancing Public Health knowledge. The candidate should aspire to understand disease mechanisms and be interested in evaluating disease prevention and/or treatment.